Did you know metal roofing can mimic tile and shingles? Roofing is one of the essential services we provide here at North Arundel Contracting. While metal roofing has become something of a trendy option, there are still a number of myths about it. In this blog, we’ll attempt to bust some of these persistent myths. If you have a metal roof or are looking to install one, we recommend that you read on to learn more. The first myth about metal roofing is that it is attractive to lightning. With the wild weather in late spring and early summer, especially in Baltimore, lightning storms are common. But the chances of more frequent lightning strikes are unlikely. The metal used for roofing comes with a special coating and are often engineered to be fireproof, as well. In fact, metal roofs can redistribute the high amount of energy contained in a lightning strike. Metal roofs don’t make lightning hitting your home more frequent; as a matter of fact, metal roofing can prevent fires starting after a lightning strike, unlike more conventional roofing materials. Another myth is that metal roofing is prone to rust. Rust and corrosion can happen on any metallic surface, especially given the humidity common in Baltimore. Another aspect of the scientific engineering of metal roofing is the ability to withstand humidity and rusting. Weather and sunlight might degrade other roofing materials, but metal roofing can endure without showing signs of any damage. The third myth about metal roofing is that it’s aesthetically displeasing. In other words, it could be downright ugly. But this is also untrue! While there are many plain options that might be serviceable but unappealing, there are plenty of more eye-catching options available too. With an array of styles and colors, metal roofing can even mimic the appearance of tile or shingles. You would think metal roofs are hot roofs. After all, metal absorbs heat – we’ve all burned ourselves on hot seat belt clasps getting in the car on a hot day. So you would think the same principle applies to a metal roof. Another myth is that metal roofs make your houses hotter inside. Metal roofs actually reflect more sunlight, keeping the top of your roof cooler instead of warmer. 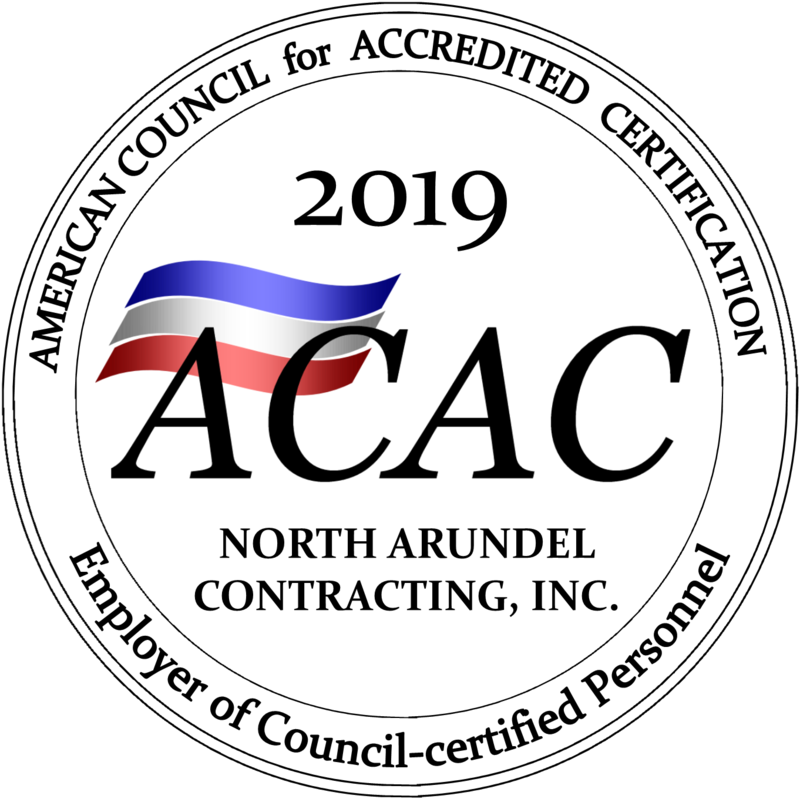 Make Roofing Better with North Arundel Contracting! This entry was posted on Friday, May 19th, 2017 at 8:53 am. Both comments and pings are currently closed.